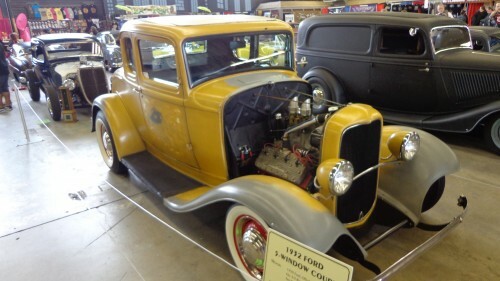 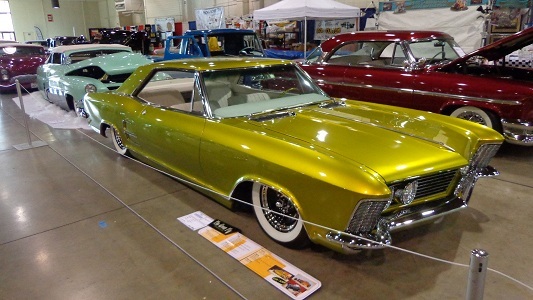 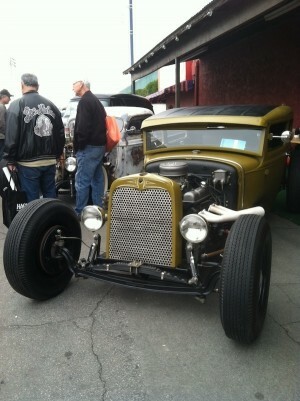 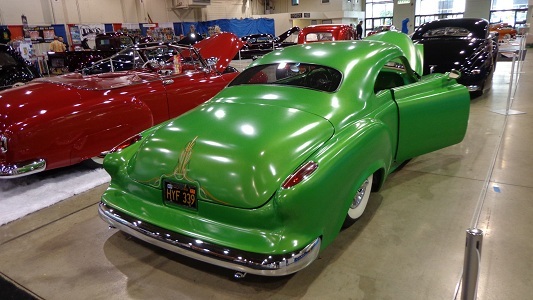 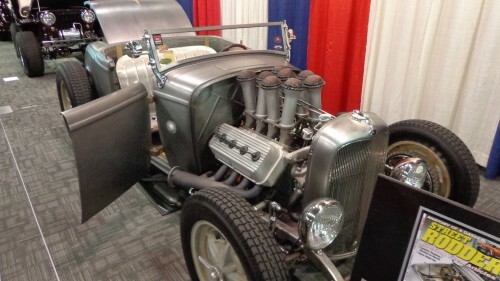 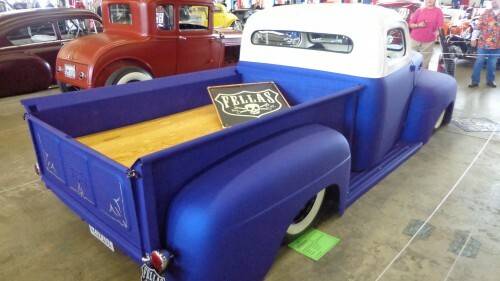 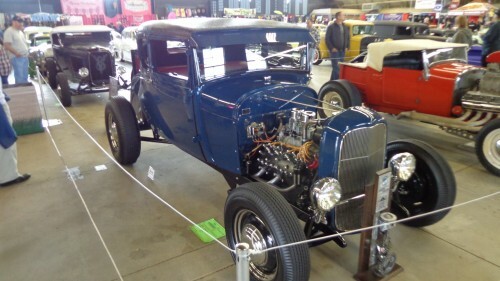 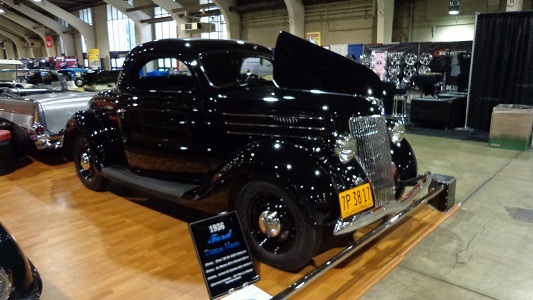 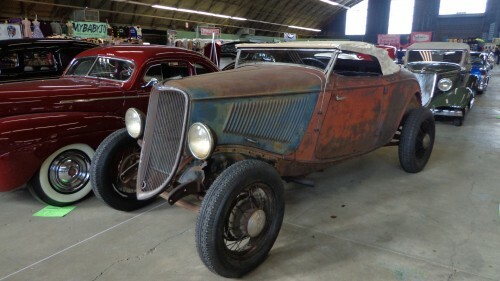 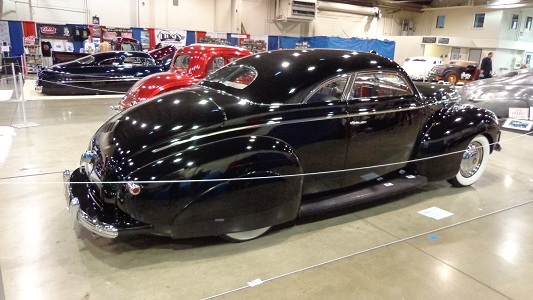 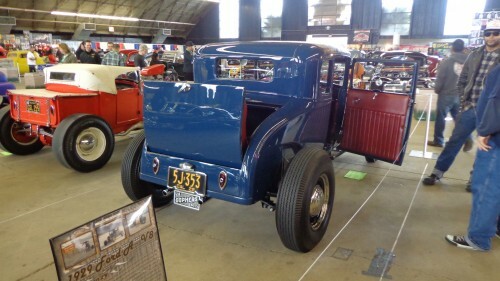 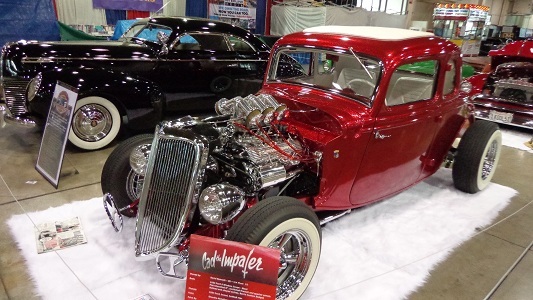 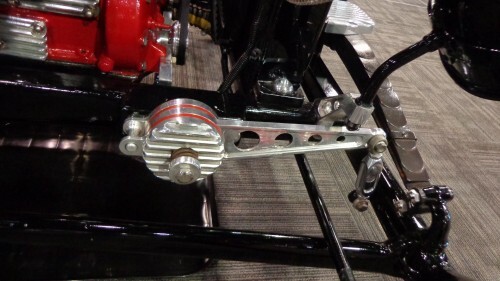 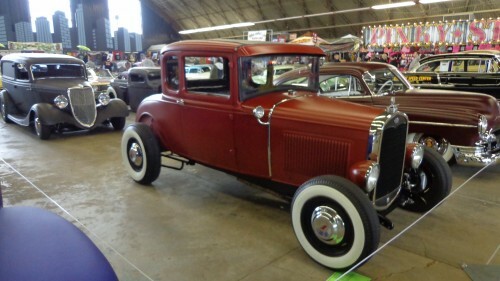 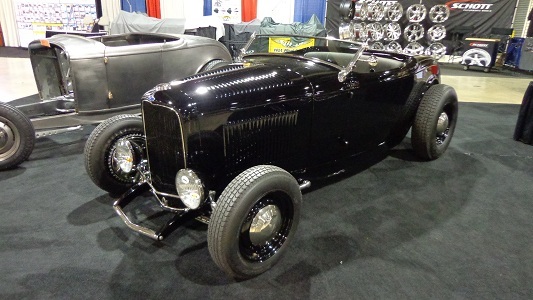 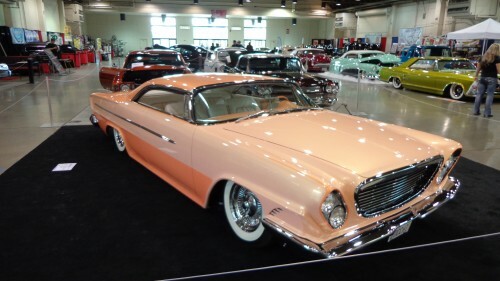 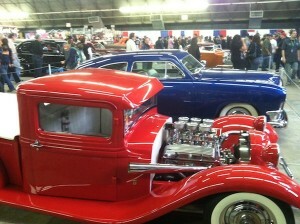 If you weren’t able to make it out to the GNRS (Grand National Roadster Show) then here is a taste of what you missed. 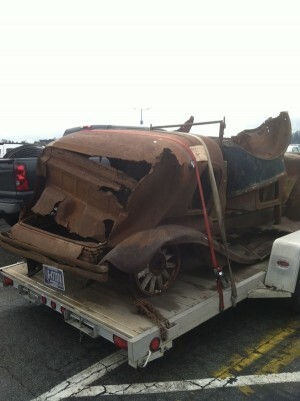 For those of you that we saw out there, thanks for stopping by. 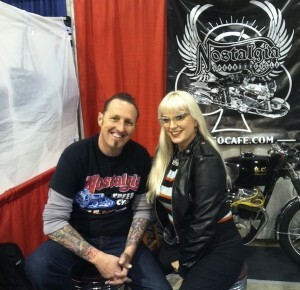 As always it was good to see you! 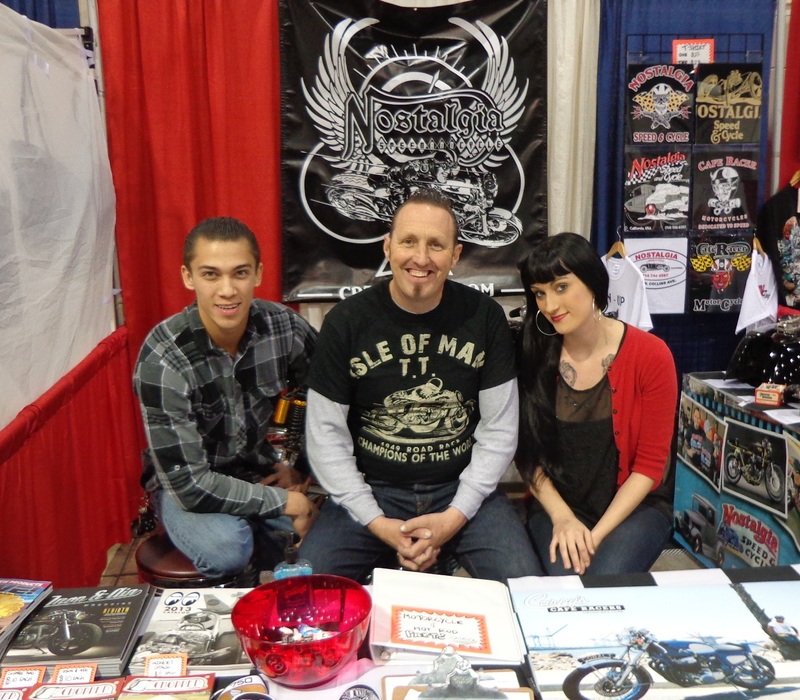 The Crew, Dakota, Mary Ann and of course Me. 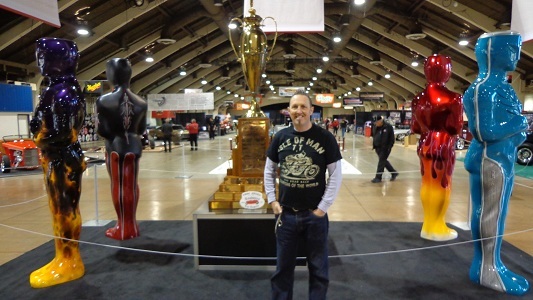 This trophy has been around since 1948 and every year a competitor goes home with it, it must be over 8 feet tall , so no idea how you would carry it in a little 32 Roadster, but hey, what a trophy, makes the Stanley cup look like a kids egg cup in comparison. 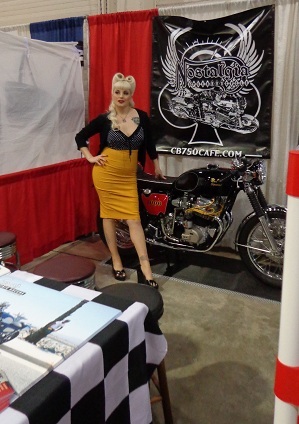 Becky Sue Huff cruised past to say howdy, and check out the booth. 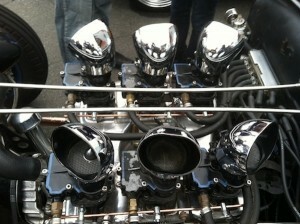 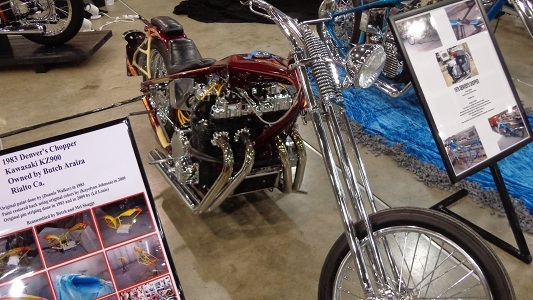 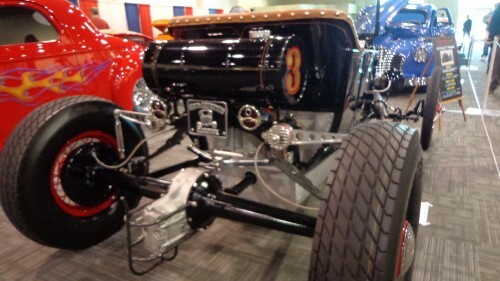 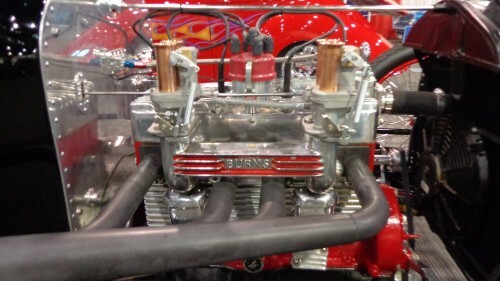 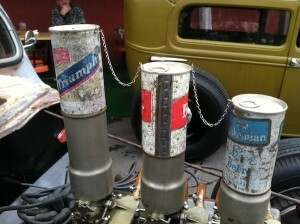 Some cool stuff all around the show, check out the vintage beer cans on the Velocity stacks. 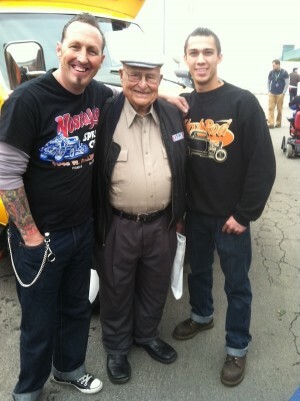 The infamous Ed Iskenderian, the Camfather, always great to chat to the legend himself. 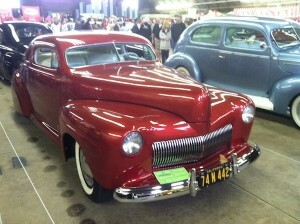 Coupes, Sedans, Roadsters, its all amazing to see in one place, a super show to check out if you can ever make it there. 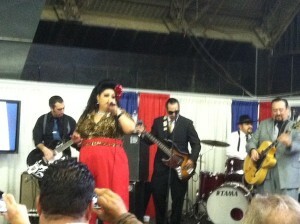 Check the Frog mouth scoops out, also the band belted out some high octane tunes of their very own and a big hit with the crowd. 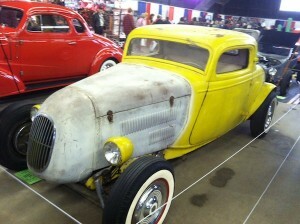 Track nosed Coupe was a hit for many people and I loved the A-Bone 5 window in all its Original Hot Rod guise. 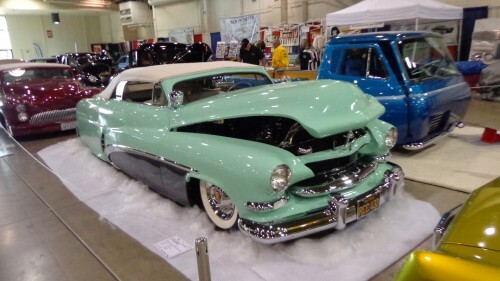 Blown Roadster pick up made many people stop and check it out, the Custom grill is a rare as hens teeth these days from an early 50’s Desoto. 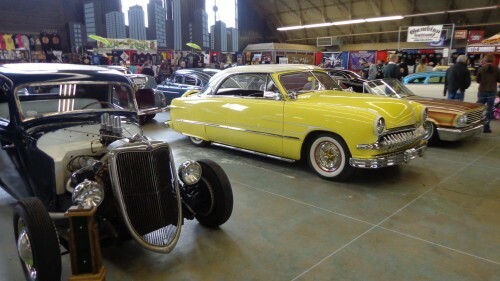 Pleny of cool rides to look at the whole weekend and of course, ya never know what is in the parking lot at the back of the show. 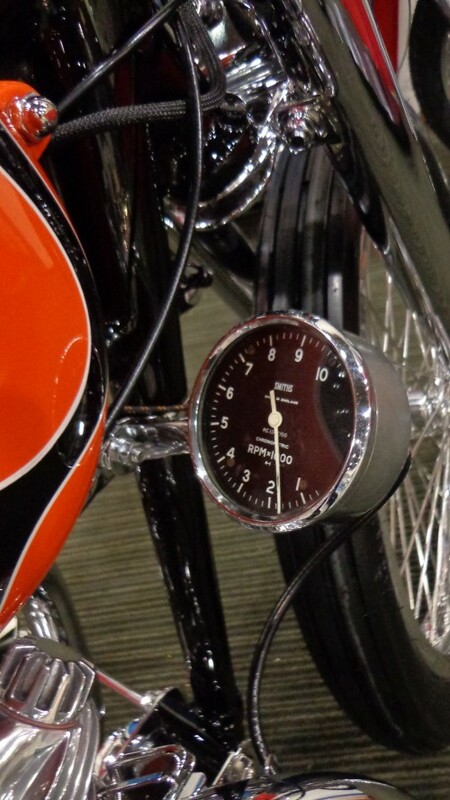 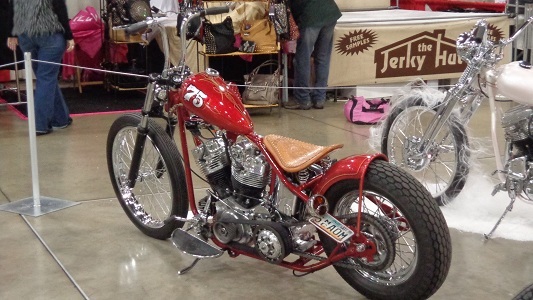 Plenty of great bikes, Early 1950 Trumpy was pure Nostalgia and a nice ride overall. 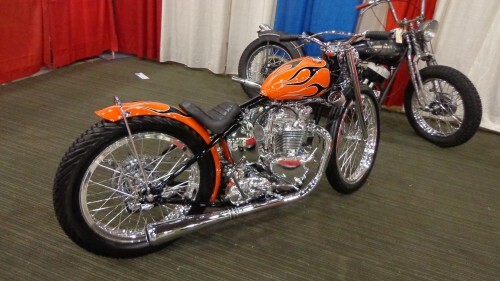 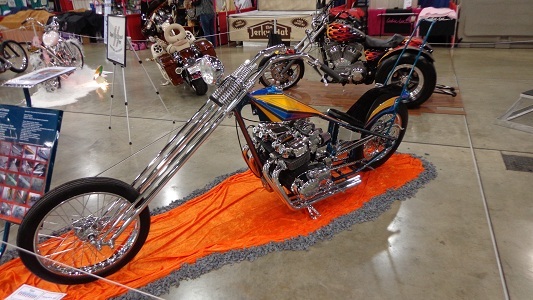 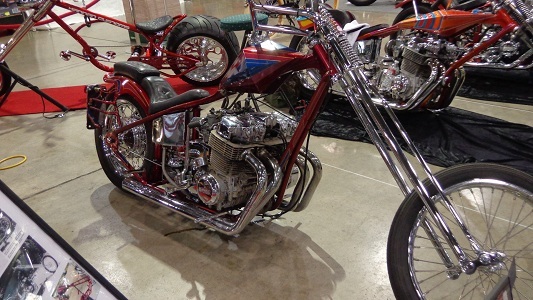 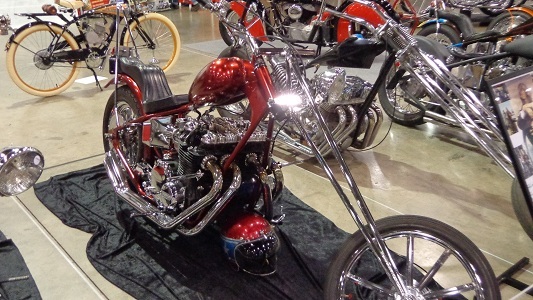 Could not believe how many inline Four 750 Choppers that actually turned up for the show. 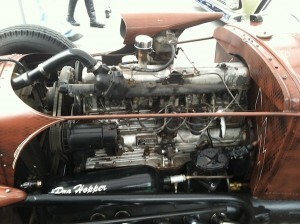 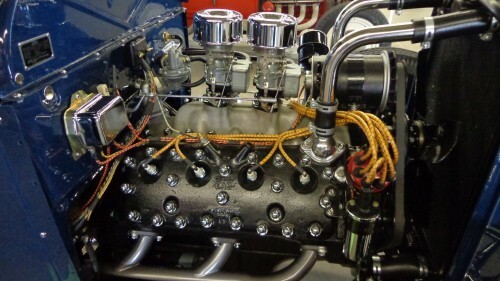 DOHC Kwaka- in a Denver frame, sweet. 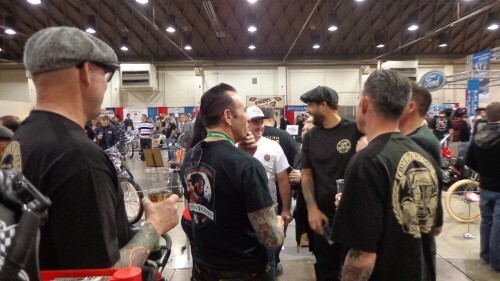 They had it all at the show and I am sure that if you lot had attended, you would of enjoyed yourselves. 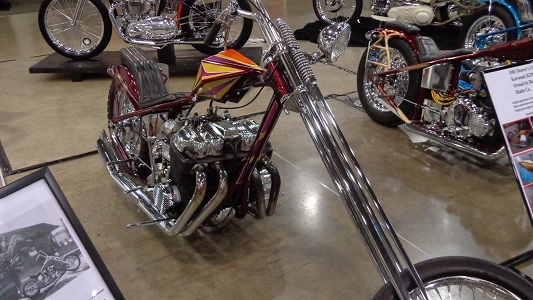 Original 1970’s Denver Chop was all on show for the world to see. 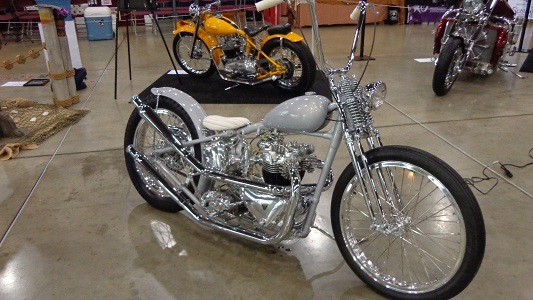 See if you can make it to next years one as this gets bigger and bigger. 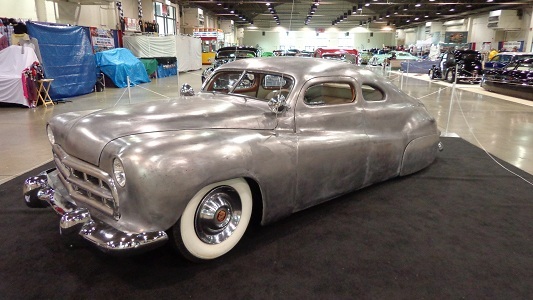 The Heavy Girder front is deceiving, but such an original piece. 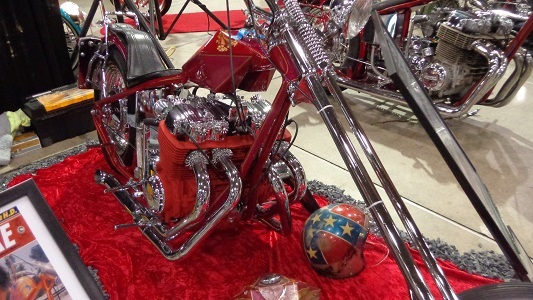 Moons little Trumpy was represented. 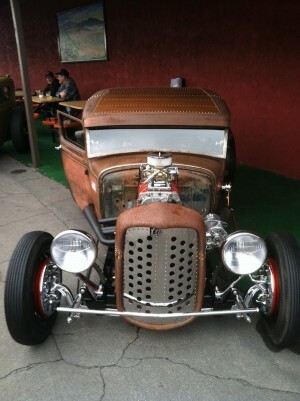 A very cool Trumpy that’s a friend of mines. 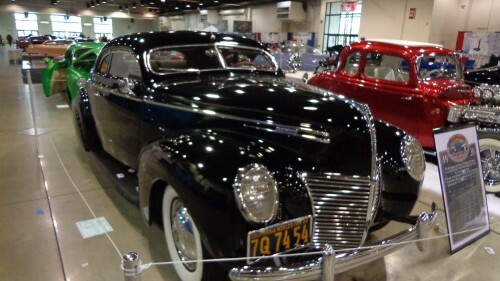 Check out the 36 Coupe, boy- what styling and smooth lines. 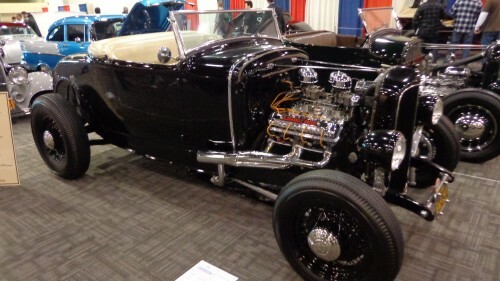 I love Roadsters in any guise. 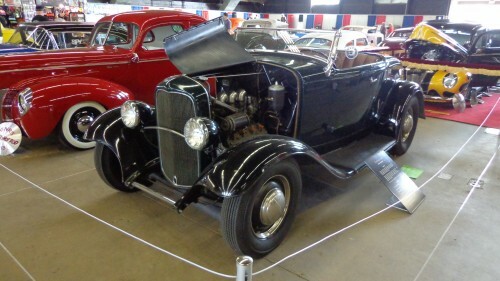 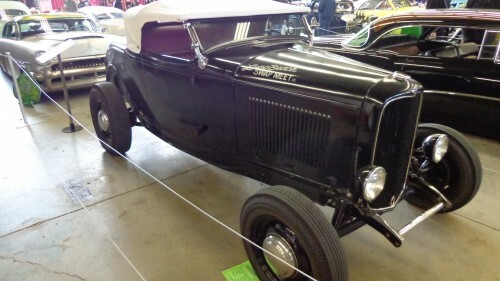 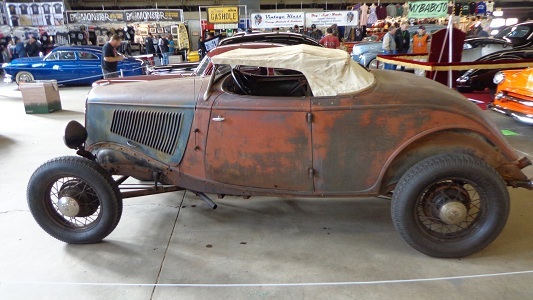 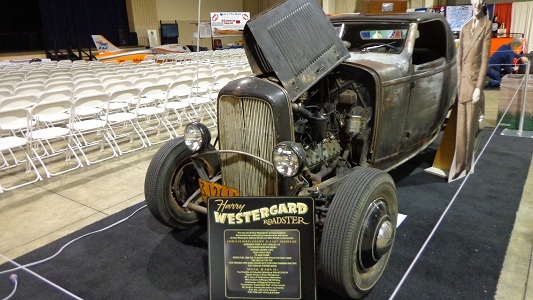 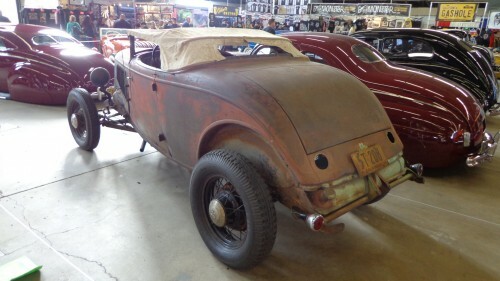 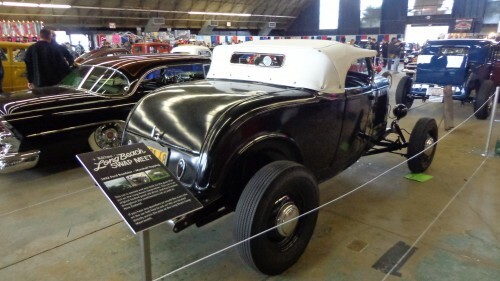 Harry Westergards Original Roadster, i was stoked to see this, a time capsule for the avid Hot Rodder. 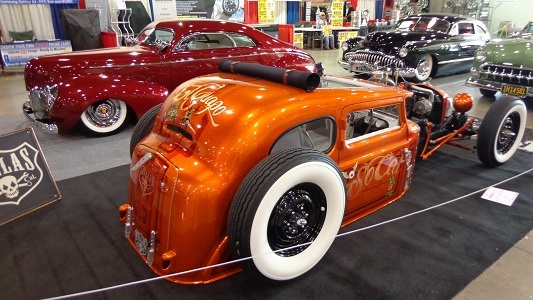 Just look at the tight lines on this Custom Coupe, I loved this. 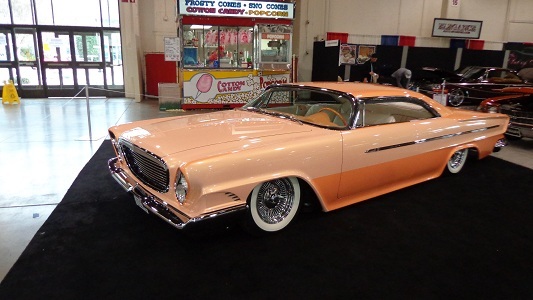 Caddy powered 60’s style Coupe was great to see and a very East Coast flavor. 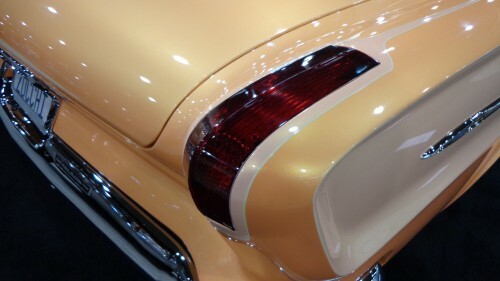 I loved the body work on this, smooth as a babies arse. 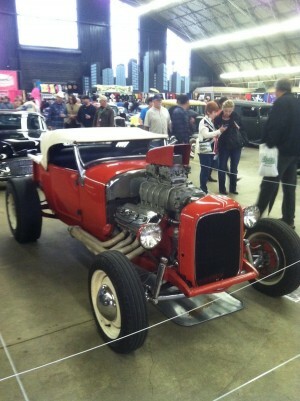 Always something cool to check out at the show. 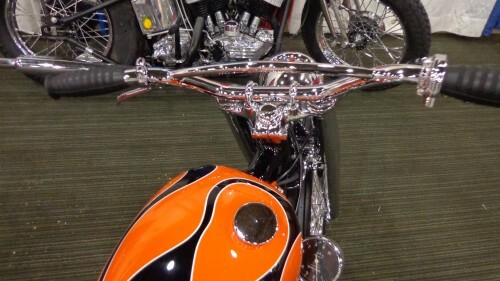 Winfield fade away paint is such a cool contrast. 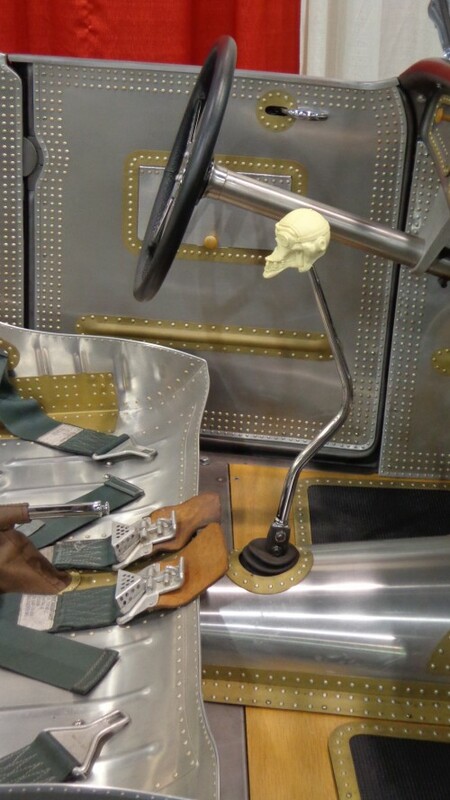 there is more work here than you really realize. 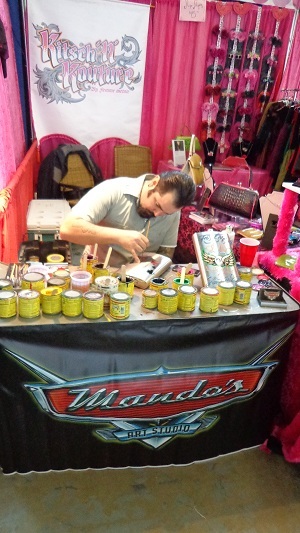 Slinging some paint and doing a good job, Becky Sue Huff hanging out at the booth. 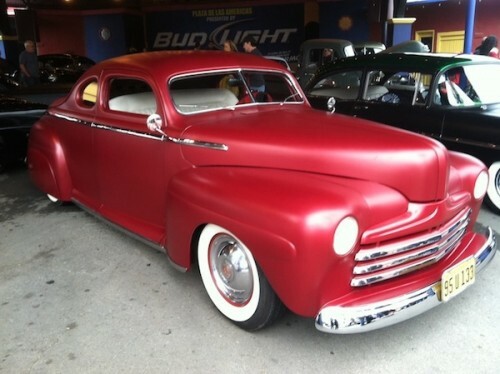 This is what I am all about, I love this ride. 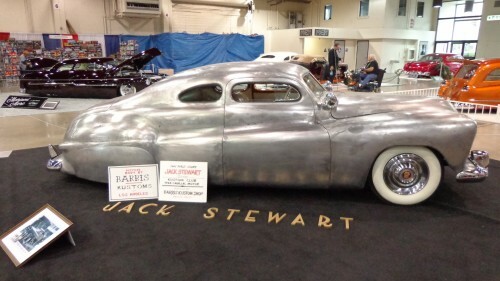 This just is a time capsule and would love to have this as the shop ride. 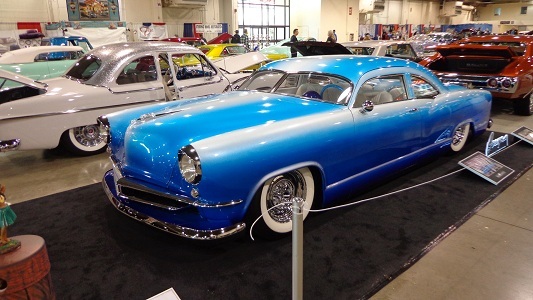 You just never get to see ultra original looking rides any more. 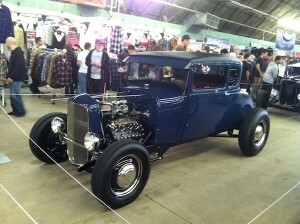 I had a fantastic time at the show and it was great to meet up with people that I have not seen for a long time. 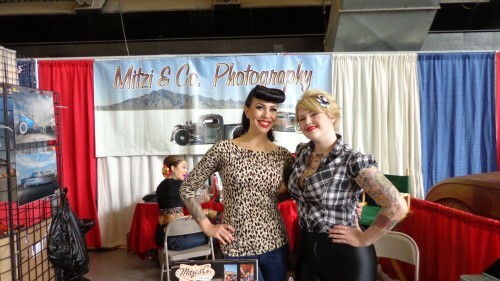 And look forward to the next show. 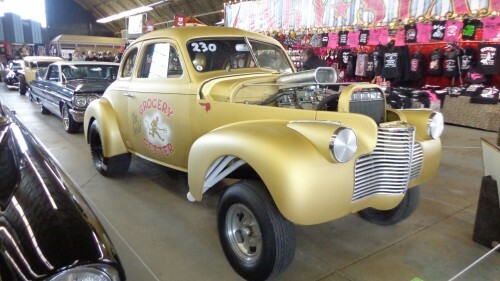 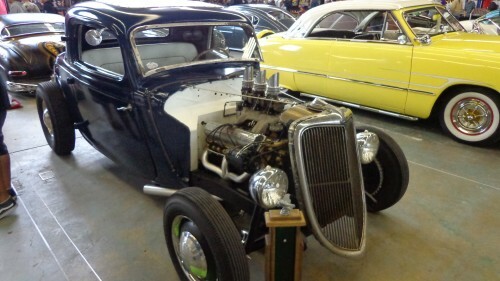 Every taste from Drag cars to cool led sleds, they have it all at the GNRS. 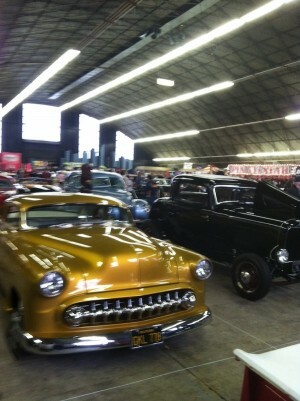 All sorts of cool rides to go and check out. 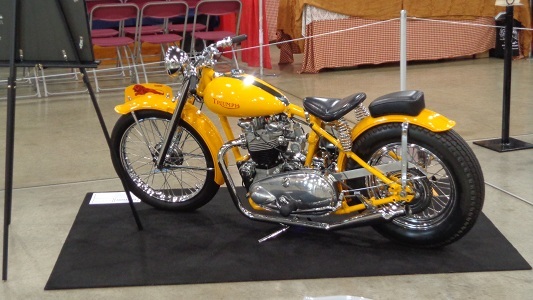 Come and visit the show if you can manage it as it is definitely a tick on the list of cool shows to attend. 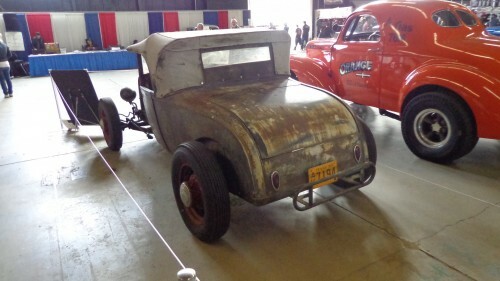 There is always plenty of old tin to look at, as well as new projects and many many cool people and vendors to come and check out at the show. 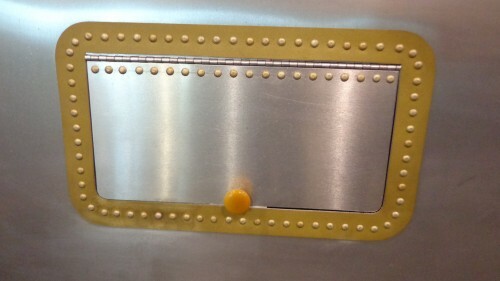 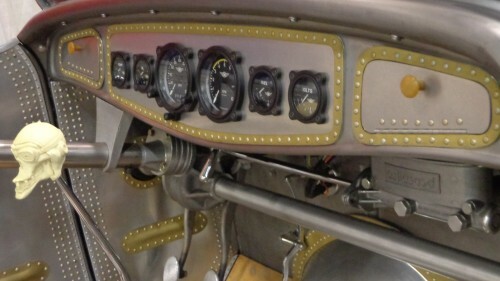 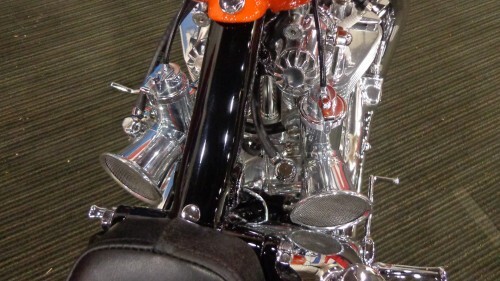 Some of the detail work is simply amazing and I always stop to appreciate the work and time gone into these creations. 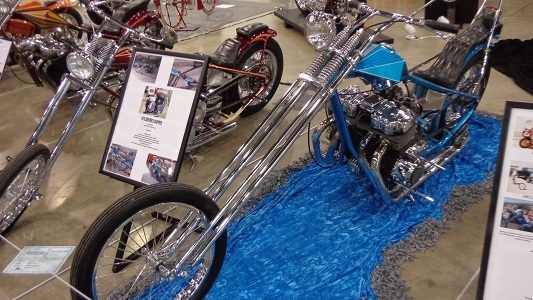 You can see the hours that this must of taken to get all correct and uniform and if I had a hat on at the show, I would of tipped it in their general direction, awesome work. 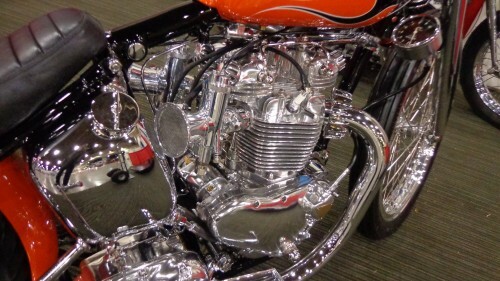 And you have to look at the Trumpy to admire all the hard sweat and tears that went into this machine. 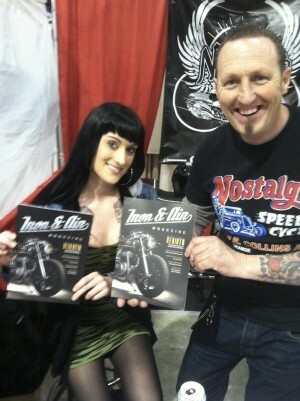 We shall be at quite a few shows through out the year, so make sure you come by and say hello. 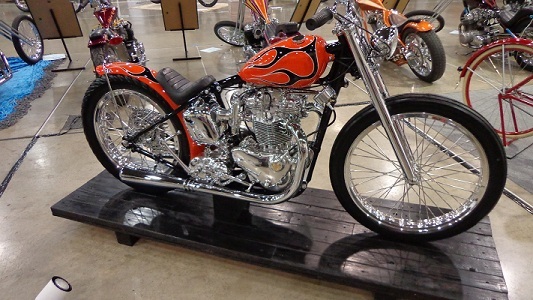 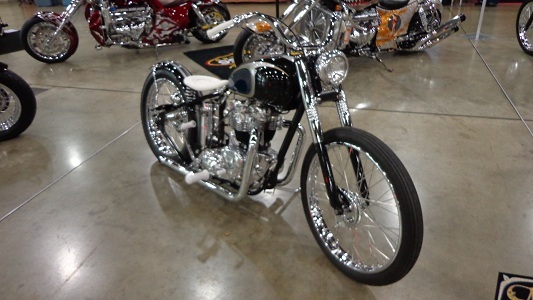 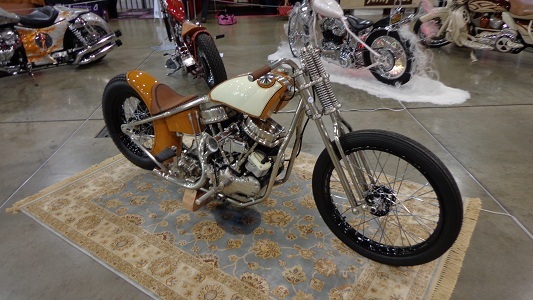 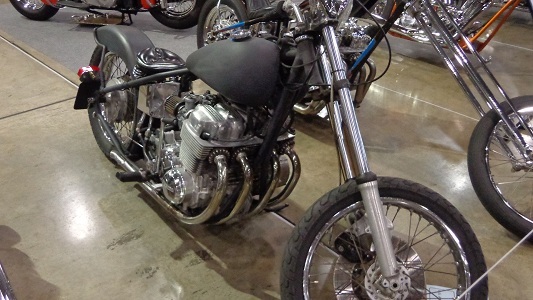 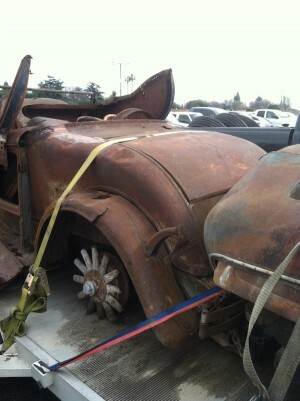 This entry was posted in Blog and tagged cafe racer, cb750, coupe, hot rod, roadster, vintage motorcycle.